Wow… I have never seen such a bad eavestrough job in my life. Here are a few tips so you don’t become this so called contractor’s next victim. Ask what their warranty is. Never pay in full til you have closely inspected the job. 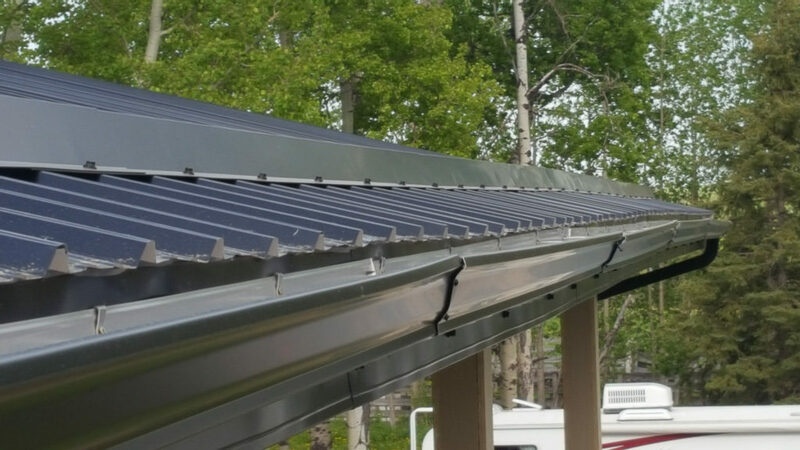 So if you need continuous eavestrough, downspouts, siding, James Hardie siding, soffit or facia don’t hesitate to contact us at (403) 617-7280 and ask for Natalie. Or fill out our contact form below. This entry was posted in blog, eavestrough and tagged eavestrough. Bookmark the permalink.